Short term, small dollar loans are often a temporary necessity for many consumers trying to make ends meet. Unfortunately, the current market is primarily limited to payday loans. In Illinois, nearly 1.2 million payday loans were issued between 2006 and 2008.The mechanism for providing small dollar loans continues to be debated. Payday lenders claim that they provide a needed product and service to those underserved by other mainstream financial institutions. Consumer advocates, however, contend that payday loan products are predatory and should be regulated. Alternative small dollar loans products and other innovative mechanisms for meeting consumer demand must be explored. 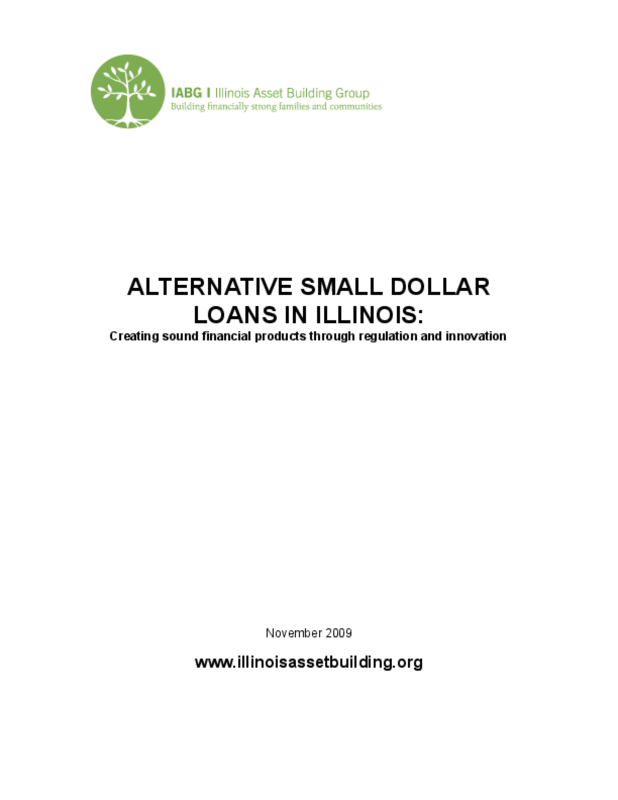 This brief provides an overview of the ASDL landscape in Illinois. Copyright 2009 Illinois Asset Building Group (IABG).